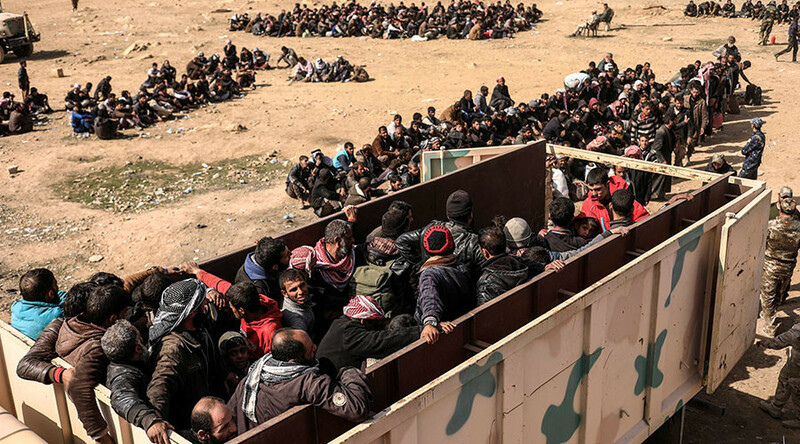 The number of refugees fleeing Mosul continues to escalate as the Iraqi government makes significant gains in its battle against Islamic State in the city. With more than 200,000 escapees since last October, it is now on the verge of a humanitarian disaster. “Forty-five thousand people have left their houses in the last nine days. The numbers are expected to increase – there is huge concern for them. All organizations are working overtime to expand the available camps, and to build new ones,” Hala Jaber, a spokesperson for the International Organization for Migration – which calculated the 200,000 figure using its complex Displacement Tracking Matrix – told RT. More than half of those who have fled are children and the majority of the rest women. The UN estimated at the end of February, that 250,000 people could leave the city in the coming weeks – home to about 750,000 before the siege. Iraq’s minister of displacement and migration said there was a “shortfall” in the work of international agencies in coping with the mass exodus. 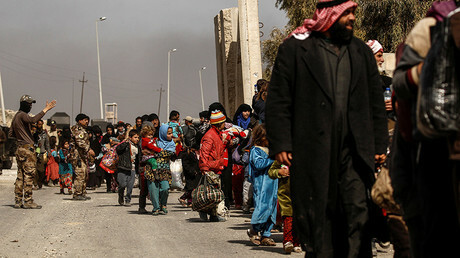 But the IOM, an inter-governmental body, which is one of the major organizations attempting to solve the ongoing crisis, alongside the UN Refugee Agency, says there's been a lack of cooperation from Iraqi authorities. But staying inside the city – as the number of strikes by the US-led international air force increases, and shelling from ground artillery continues – is also a gamble. There are also fears that the battle could morph into a kind of urban warfare, where civilians are more at risk and combatants can hide more easily amongst civilians. Once the attackers are in the old city, where about 2,000 to 5,000 Islamic State fighters are thought to be retreating, jihadists could, and are already, using residents as human shields. There have also been accusations that terrorists are engaging in chemical warfare. The government has cut off all paths around the city, while inside there are severe shortages of water, food, essential medicines, as well as electricity outages. Although some areas have been fully liberated, in other regions, thousands of residents have simply desperately dashed across live battlefields, often with white cloths tied to their clothes, to reach the Iraqi front lines. But even if what awaits them is an overcrowded camp, its likely to be a worthwhile gamble – with no quick resolution to the battle which involves an estimated 100,000 attackers, in sight.